Old wives tales and recipes for remedies from your grandmother is woven into the fabric of most lives. Many of us grew up with parents who attempted a home cure before buying medicine or (heaven forbid) making an appointment with the doctor. A couple of generations ago, the average population didn’t seek out a doctor unless it was clear that it was a serious illness and had exhausted all efforts at handling the problem at home. When doctors weren’t available, or affordable, families sought relief in what is now referred to as holistic medicine or “alternative” medicine. Before we begin, let’s look at the actual terms being used, shall we? Specifically, the terms “alternative” medicine and “traditional” medicine. Hmmm… the definition of “traditional” is “something that is long-established and time-honored.” Since herbs, foods, roots, and other natural remedies have been used for millennia, I would contend that natural medicine should actually be considered to be “traditional” whereas drug-intensive medicine (which has only been used for a century or two), should actually be considered the “alternative” medicine. Do you see how the phrase “he who defines the terms wins the argument” is true? By convincing the world that drug-intensive medicine is actually “traditional” medicine, Big Pharma has re-defined the term and persuades people across the globe that this type of medicine is the gold standard when in reality it is not. Now, I am not asserting that modern medicine is bad. It is indisputable that incredible advances in medical technology have saved millions of lives from suffering and death. There is no doubt that many doctors and scientists enter their fields with the goal of helping others. You want to trust your doctor. You want to believe that the pill they want you to try will make you feel better. However, we’ve become blind to a very dangerous trend. Too many of us listen to the “professional” and assume that this doctor has our (the patient’s) best interests at heart. As the doc listens to the problem, nods with very little thought, reaches for the prescription pad, and sends you on your way… confidence dwindles. To make matters worse, a growing majority of patients now ask for drugs by name. They know the one they want based off a commercial seen on television. It’s the one that’s going to take care of the problem they didn’t even know they had. Over the last several decades, there is a frightening “profit over patient” approach that is literally changing the way we live and take care of our bodies. When did we stop even trying? How did we get here? Why do we now run to our doctors begging for pills to handle every little ailment that appears? What has changed that made our thinking go from natural to pharmaceutical? Eat all the junk you want… here’s a pill for high blood pressure. Don’t exercise at all… here’s a pill for obesity. That stress is no big deal… here’s a pill to alter your mood. Gobble up that sugar… we have your insulin ready. Smoke and fake-tan and ingest known toxins… chemotherapy will fix you. Why should you care when there is a pill to handle the consequences of the food you eat, the environment you live in, and the lifestyle choices you make? Thankfully that is not the approach taken by those who practice more natural methods of patient care. Sadly, alternative medicine practitioners are on the receiving end of a lot of ugliness. Natural alternatives are frowned upon in the modern age, and those who seek them out are openly ridiculed. If you’re a practitioner of alternative therapies, that ridicule can take on a life of its own. It’s no secret that the allopathic medical community has long scoffed at the ideas and methods of holistic and alternative medicine practitioners. While shouting publicly about protecting the health of society, they whisper in secret about protecting a health-care monopoly that comes with huge payoffs and kickbacks. Consider this… the American Medical Association (AMA) has been waging a war against the entire chiropractic community since the 1920s. By spreading mistruths and propaganda, the AMA attempts to discredit chiropractors as quacks and charlatans. They paint them as modern day snake-oil salesmen who do more harm than good. As recently as 1987, the American Medical Association (AMA) and several other medical agencies were found guilty of attempting to create a monopoly on health care in the United States. Despite being found guilty of these atrocities, and even opening doors slightly to osteopathic physicians, the war continues through massive loopholes. The agencies merely changed the style of their attacks. In 2006, the AMA stated publicly their opposition to the licensing of naturopaths. Psychiatrists jumped on the AMA’s bandwagon to shoot down the credibility of psychologists along with naturopaths, chiropractors, and midwives. They want the states to rewrite the rules according to the game they want to play. Alternative medicine practitioners are quick to point out some of the biggest reasons why people should seek out care from non-conventional physicians. They highlight statistics that clearly show more people dying from prescription drug side effects, hospital errors, infections contracted at medical facilities, and unnecessary surgeries. Compare that, if you will, to the relatively low instance of patient harm resulting from alternative care. The American Dental Association still supports poisonous mercury in fillings and scoffs at natural dentists using alternative fillings in the interest of patient health. Fluoride has been proven to do far more harm than good but is still in widespread use with the ADA’s proud endorsement. The American Academy of Pediatrics (AAP) claims to protect children but refuses to disclose how much of their funding comes from companies that produce and manufacture vaccines. They suppress reports on the truth of how vaccines can be harmful or even life-threatening. Even the American Cancer Society continues to point fingers elsewhere while they nurture partnerships with pesticide and drug manufacturers. Their conflicts of interest lie between funding and the environmental research on the causes of the cancers they claim to be fighting. As long as policy makers are under the control and funding of medical and pharmaceutical powerhouses, the natural and alternative physicians and practitioners will continue to have an uphill battle to wage. Every drug that hits the market comes with a media campaign meant to detract from the long list of side effects. Chiropractors are touted as quacks despite having patients that have shown obvious, documentable, and positive results of treatment. 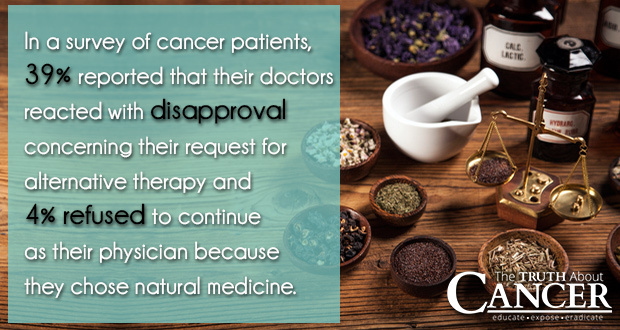 Naturopaths continue to quietly provide patients with relief via treatments meant to help and cure, not mask or disguise symptoms. Midwives bring safe, peaceful, low-stress birth experiences to parents. Many parents seek to write their own birth-plan and have it followed without threat of C-section or induction because the doctor is on a timeline or hasn’t been trained in alternative methods to support the mother through birth. Alternative medicine physicians practice despite the challenges. They receive their degrees and go into practice knowing that they will face opposition daily. Online sites are full of negative reviews from people accusing them of quackery. Positive reviews are met with disbelief and even anger from people that found a public option for shaming and negativity based on their beliefs. It’s a modern day witch hunt and the stakes aren’t burning − but they are high. If the AMA ever wins their fight, we may all die from the care they bring to us under the guise of knowledge and concern. As always, do your own research. Talk to more than one healthcare practitioner before making any health decisions. Sometimes a combination of natural and traditional medicine can be the most beneficial for anyone facing an illness or disease such as cancer. The bottom line is that it’s your disease, your body, and your choice. Don’t let medical bullying and fear influence your decision. 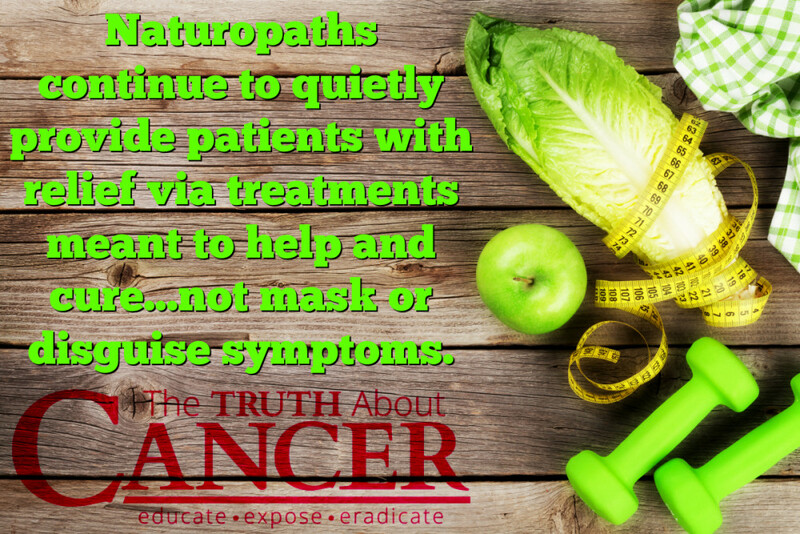 *Article originally appeared at The Truth About Cancer.